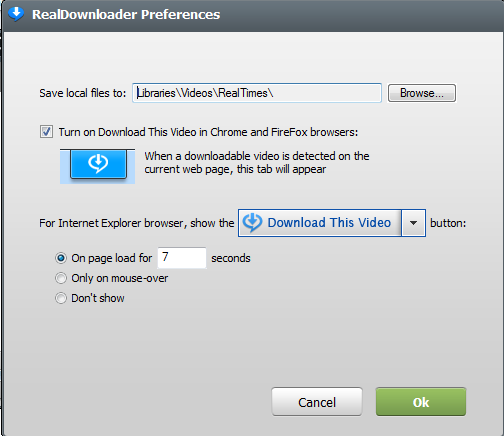 How do I change the location where RealPlayer downloads videos? Then click the Browse... button to select a new location. Caution: if you choose a download location other than a local drive, the download will fail with the message "Unable to download".